I had a very wise uncle who once said to me: “Little Giovanni, the most important thing in life is not money. The most important thing in life is MY MONEY!!”. The young gentlemen in Wall Street here shown engaging in, as always civilized, give and take, over bulls and bears and politics. The reader may be of my Party, or of the other Party, but it is worth noting here that when it comes to one’s own money, one is correctly cautioned to keep political and other passions hard at bay and ask simply: who reliably delivers more cash to me? To aid us as we are thinking on that question, we are most grateful to young Marc Lichtenfeld, Investment University Senior Analyst, for providing us the following charts and analysis of how the equity markets have performed, during the Presidential terms of the two principal political Parties over a span of 100 plus years, making allowances for variables of importance such as the Party control of Congress and the like. I looked at the performance of the Dow Jones Industrial Average starting at the beginning of every presidential administration, going back to 1901. The S&P 500 data began in 1929 (including a proxy for the index before it actually started in 1957). I also broke it down further to see what effect having a Congress that was the same or opposition party would have on the results. Lastly, I wanted to get a sense of the long-term impact of the administration’s policies. A President’s actions don’t only impact the economy from inauguration day to inauguration day. They can have a long-lasting effect. For example, some say President Clinton is the recipient of the good fortune that was a result of President Reagan’s policies. The argument can also be made that President Obama is suffering through the malaise caused by President George W. Bush’s mistakes. The first table shows the performance of the Dow and S&P 500 with a Republican or Democrat President. There were 15 Republican terms and 13 Democrat. According to the numbers, when it comes to the Dow Jones Industrials, Democrats appear to be better for the market in the short term, while Republicans are in the intermediate term. Long term however, the results were identical. In the broader S&P, however, the market performed way better under a Democrat President across all time periods studied. Now, let’s take a look at how Congress impacted the results. The sample sizes of a split Congress (meaning the House and the Senate were controlled by different parties), were very small. Only Ronald Reagan’s two terms in office for the Republicans and Woodrow Wilson’s second term for the Democrats. For the Dow, Reagan’s two terms blew all other combinations away across every time period except five-year performance. When you add the S&P 500, Reagan’s five- and 10-year performance was best, but shorter term, investors did better with a Democrat in the Oval Office and Republicans in control of Congress. If you eliminate Reagan’s term so that only larger sample sizes are used, a Democrat President with Republican Congress had the best one-, three- and five-year performance in the Dow. The 10-year champion was a Republican President and Democrat controlled Congress. For the broader S&P 500, the market climbed much higher when a Democrat was in the White House. Short- and intermediate-term performance was enhanced when the Democrat President had an opposition Congress. But perhaps the most surprising results were that long-term performance was much stronger when the Democrats were firmly in control of the government, returning 253.69% over 10 years or an average annual return of 13.57%. The perception is that Republicans are more pro-business. I think their policies and plans back that up. But at least as far as the market is concerned, over 100 years of results suggest you’ll make more money on your stock investments with a Democrat in the Oval Office. How much of it you’ll get to keep is another story due to differing tax proposals. Lots of factors go into who Americans select as their President. Foreign policy, tax policy, social issues, etc. The stock market is usually not a big consideration. If it was, George W. Bush wouldn’t have had a prayer against Al Gore, as the market more than doubled under Clinton’s last term. And Mitt Romney would be the Republican equivalent of Walter Mondale after President Obama’s 69.6% bull market. I here cease to quote from young Lichtenfeld and again thank him for his very useful seasonal note to us. Mr. Romney’s 47% v. 53% edges ever close to the 50 yards line–a fiscal abyss from which no return is possible. 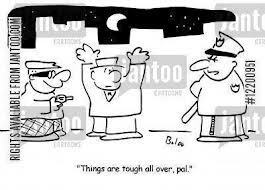 In America today, takers rob makers whilst police and politicians earn handsome sums aiding and abetting the robbers. Today, I am indebted to young Mr. Bill Bonner, Chairman, Bonner & Partners, who sends us the follow note about “watching the zombies.” It is suggestive of a debate that ought to have been enjoined by the Party of Weak Men, my own, against the hilarious dictates of the sulking, pouting, self-aggrandizing, Children’s Party, not my own, the past election cycle. My Party, the Party of congenitally, weak men, backed down instead of standing up when Mr. Romney was quoted as saying, essentially, that one-half of the country was carrying the other half on its back–not to mention half of the rest of the world now supported as wards of the American free money machine. Actually the breakout was, I think, 53% vice 47% makers over takers–counting only the American burden, ignoring the rest of the world perched on the backs of the American makers. Accessing the, solely American, field position, 53-47 in favor of makers seemed to me at the time a breakout suggestive of a, cautionary, tepid, hope for salvation. My Party, ever ready to throw a race that can’t be lost, if only to avoid dealing with real issues, failed to enjoin the debate, the premise of which ought to have been this: once that breakout of takers over makers crosses the 50 yards line, we’re toast–by which meaning, at that point, more than a majority have a vital, tangible, self-interest in perpetuating a government that takes from the producing class and gives to the idle class. Retreat from a position 50+ yards line benefiting takers over makers is not possible and thus, is, game over for US as a nation of any consequence. Quite naturally, that issue was abandoned in terror and fright by my Party, Party of the weak man, when air-headed news girls expressed chagrin that Mr. Romney was “being mean to the sick people, little babies and the poor.” Heavens!!! Mr. Romney, of course disavowed his own words and ran a campaign in which he said, essentially, nothing, except that he was proud to say he was not the incumbent–a platform that, on paper, made good sense given the intense enmity–in fact far too nice a word, but this is a family program–that the Americans hold for that incumbent. The weak Party, my Party, lost, as usual. The Children’s Party, not my Party, won, as usual. Mr. Bonner, sends us an interesting spin on these takers v. makers events and, suggests, implicitly, what might have been had my Party only been brave—just this once. But of course, that can never be. That all said, while I am happy to introduce you to Mr. Bonner and his interesting, on topic, note of today, I take substantial quarrel with him respecting a certain Mr. Grover Norquist, the self-styled anti-taxation fella. Mr. Bonner seems today enamored of Mr. Grover Norquist. He oughtn’t to be. But then, Mr. Bonner hails from Baltimore, so I make due considerations. Mr. Grover Norquist, the anti-tax fella, has been around this city, Washington, for a good number of years selling his pots and pans amongst the unseemly carnival of other hucksters and salesmen found here feeding off the corpus politic in general. Grover likewise is but part of a very large and very comfortable cabal of hucksters and highwaymen that feeds in specifics on the faux debates that are called here “substantial and pressing, even dire, life or death, differences of opinion,” but that are, in reality, simply different fellas making different, very loud noises, the purpose of which is, not to make things better for the nation as they purport, but rather to further feather their own, already very well-appointed nests, selling more of their pots and pans. Like all door to door men at Washington, Grover started small and soon became hardened of rejection by the overstrained real housewives of this city who slammed the door many times in young Grover’s face. So many hucksters selling pots and pans make the customers cold and callous, but Grover was persistent—which counts for a great deal in sales. His Mommy cautioned baby Grover, just starting out as a door to door man, that “Girls already have far more pots and pans than they will ever need—creating a condition, called, I think, in academic economics, ‘market saturation.’” You are free to check, if you are very bored today, the academic lingo with a fellow called Krugman, another pan-banger at Washington selling, I think, a line called “credentialed economics with a Nobel Prize to boot.” Who cannot but like it here? Friends, you know the rest. Next thing you know, ole Grove’s a millionaire, twice over and counting. Moreover, Grover has perfected the attitude of politicians in the city who openly, piteously and indiscreetly disdain their customers with a loud and loathsome public mockery. This is a common affliction among pots and pans salesmen of all levels at Washington, District of Columbia—largely driven, I suspect, as paybacks for all the sore noses young Grover and others here have had to endure over time. I am roundly disliked among all the salesmen here, as I am a permanent fixture, whilst they are weary, boisterous, commercial travelers, to all of whom I am icily indifferent. But I am never so much disliked and disdained by the hawkers and barkers as are the customers who do buy their products. A case in point can be seen in the reactions of the Presidential candidates the night of November 6, 2012. Mr. Romney was very much surprised to have lost, as he expected, with very good reason, that he would win. But his grace and magnanimity in defeat belied a grudging admiration for the real housewives who slammed the door in his face. Hence, the inexplicable is explained. Politicians, simply selling wholesale the pots and pans of smaller retailers such as Grover, suffer from a massive sense of inferiority. That massive inferiority drives this self-assessment of the customer base: “anyone stupid enough to vote for me is truly beneath all contempt.” And, they are right as rain about that. In this sense, likely only in this sense, are politicians ever speaking truth, either to themselves or to others. That all aside, the incumbent now gets to remain the incumbent, Uncle Ben keeps hard a bakin’ and Grover gets to make more millions from you “tax free, mam! !” Such is the business of life at Washington, District of Columbia. Washington is full to the gunnels with men who take their, very amble, living pretending to inform and improve the lives of the people from whom they merely, take their handsome living, and give back–nothing. These men, representatives of the 2 Parties, their lackeys and handmaidens and ponces in the press services and on the television, have cooked up a new war dance to irritate the populace at Christmas, 2012. Uncle Ben pays for the show and claps giddily as newsgirls, Grover and the other salesmen of all brands of pots and pans breathlessly shout out “High Hell and Havoc! !” that if this or that action is taken or not taken, the world will end, notwithstanding the imminent arrival of the Babe Jesus, a moment of true importance. All hysterical salesmen of course ignore, not only the Babe Himself, but likewise the real and pressing fiscal abyss into which we all shortly will plummet. California Highway Patrol division chief Jeff Talbott retired last year as the best-paid officer in the 12 most-populous U.S. states, collecting $483,581 in salary, pension and other compensation. While more than 5,000 California troopers made at least $100,000 in 2011, only three in North Carolina did, the data show. Talbott’s $483,581 in total pay — adding six months of his $174,888 annual pension, based on his June 30, 2011, retirement date — is almost four times as much as the $122,950 collected by the top-paid officer in North Carolina, a commander, the data show. Talbott declined a request to be interviewed, said Patty Zurita, communications manager at the University of the Redlands in Redlands, California, where he now works. Nice gig. Retire at 53. Get a pension of $174,000. And then get another job in the same line of work. You’re not being a zombie, however, if you do this. What you’re about to see is a little-known way you could generate up to six times more cash than you currently get from your 401(k). Not too many people know about this — it’s still zombie-proof. But it might not be for long. Act now — click here. Talbott is probably a decent fellow. He probably does a good job. But he has been zombified. What he gets no longer matches up with what he deserves. In other words, he consumes more resources than he really earns. Why are we making so much of zombies? Is this some kind of joke? If you don’t understand zombies, you’ll never really understand what is going on in the Great Correction. The Fed is printing $85 billion a month… governments are running trillion-dollar deficits… and zombies are getting the lion’s share of the money. Since 2008, the U.S. and much of the world have been paying down and defaulting on debt. This is natural. People make mistakes. Especially when central banks give them far too much credit. They borrow too much. Then they realize they have to pay down debt. That’s what the private sector has been doing since the collapse of subprime debt in 2007. So what if people make mistakes? Exactly! Who gives a damn? When an individual or a company makes a mistake, it is self-correcting. Suppose, for example, a person drinks too much. If he keeps drinking more and more, the problem will take care of itself. He’ll either go on the wagon… or he’ll get delirium tremens and crack up. He’ll get what he deserves. So too, a company that is severely mismanaged will get the heebie-jeebies and go broke. Soon, it will cease to exist. Problem solved. Even if the entire private sector goes off its head and borrows too much… so what? Don’t worry about it. That’s what corrections and depressions are for. But there are some mistakes that are self-reinforcing and not self-limiting. They get worse, not better. And there are some victims who are the not the same people who made the mistake. When central planners make a mistake, the harm often falls on everyone but the central planners. And when they’ve gone too far… they just keep going! It’s because of the peculiar perverse feedback loops in centrally planned systems. First, as systems become larger and more mutualized it becomes harder to tell what’s really going on. Ben Bernanke and Larry Summers can tell us that we are in a period of “demand shortage.” What the hell? Maybe they’re right. And when they apply their “fixes,” we can’t really know what will happen either. Maybe the economy really will run better. And maybe their “fixes” could help. What do we know? Second, the “fixes” almost always mean more money to someone who hasn’t earned it. One company gets bailed out. An entire industry gets recapitalized and subsidized. The Fed prints and the federal government is able to continue its free-spending ways — with more employees, more disabled people, more contracts, more food stamps and so forth. All of these people are zombies. They consume. They produce little or nothing of value. Then the zombies push for more spending… bringing forth more zombies! At least our friend Mr. Talbott works. Many zombies don’t bother to lift a finger. Pretty soon, half the country is living at the other half’s expense. And oh yes… Yesterday we said we could prove that the Fed’s easy money was contributing to the spread of zombies. The Fed exchanges U.S. Treasury debt and agency mortgage-backed securities for newly digitized cash. What do the financial institutions do with it? They need to put it to work. The private sector isn’t borrowing. So that leaves government — state, local and national. And since governments can finance their deficits with this easy money, it is easier for them to continue spending rather than cut back. What do they spend on? Zombies. They pay police officers four times what they’re worth, for example. Sure, zombies cost money. But don’t we get a better economy when we spend more money? Don’t we get more and better services when more people are on the government payroll? Buffett, Krugman, Obama et al. are clamoring for higher taxes. Doesn’t better government cost money? And don’t places that pay more get more? “States that Spend Less, Tax Less — And Grow More” begins an article in The Wall Street Journal last week. The U.S. states are good places to observe the effects of tax and spending policies. They all have more or less the same sort of people… same culture… same national economic and trade policies and so forth. But they have different tax systems… and they spend different amounts. The American Legislative Council studied the data. Did it show better services in the high tax/high spending states? Did it find faster economic growth where state governments ran with high levels of taxation and spending? Education is the top item for most states. But spending on education “has no relationship to outcomes,” the researchers concluded. Per pupil spending varied from a high of $18,126 per student per year to a low of $8,507. The difference in output as measured by standardized testing? Negligible. The extra “investment” of resources was wasted. 2.6%. States without an income tax gained population (+5.5%) from domestic migration (U.S. residents moving in and out of states) while all other states as a whole lost 1.3% of population between 2000 and 2009. Grover Norquist is right. Higher taxes (and/or Fed money printing) merely enables higher spending. I here cease to quote from young Bonner and thank him for his note to me today. And to all, a good night. Happily walk in beauty and follow the Light of Christmas Day if you seek Peace and Love. Victor Marie Hugo, 1802-1895, master French writer, cautioned us to remember that the Light alone leads man to Beauty, man’s singular treasure. It is important in this Season of the Light that we all are careful not to destroy beauty–that which truly separates Man from lesser beings–beauty. We thank M. Victor Marie Hugo for reminding us of this in today’s reading. Things looked very bleak at Paris, Christmas 1942, but the French held tight to beauty and the Light and the days of champagne returned to them. To those at Washington who, now 70 years on from captive Paris, Christmas Day, 2012, might despair of their own captivity, let them take heart from the French and the Frenchman, M. Hugo, who writes us that love of beauty is to see Light. With prayer, determination and courage beauty and Light will return to Washington and to America as well. Regaining freedom was not easy for the French in the War, nor will it be for the Americans today. Recall always that which is worthwhile, beneficent, equitable, pleasing to God and just is never easy. The way out of the darkness is to follow the light of beauty. Beauty is the light that will lead us out of the darkness, as beauty has throughout man’s history. The Peace of Christmas is perfect beauty and it comes to us from a Light far, far above us, from one who reigns far, far above us and all our tin god pretenders and His reign is forever and ever. Official Washington, now a thoroughly corrupt and pagan place, can never know the light and the beauty of Christmas Day. The city herself is captive of pagans. But her people can see beauty through their tears at Christmas. And all the Americans who desire the freedom that comes with that light and that beauty, can as well. Be uplifted. Be of good cheer. God, Whose Power transcends all others has sent you His Light and His beauty to make you peaceful, happy and courageous this Christmas Day. Follow that Light all your days, see beauty and be filled of joy!! We never see a headline about breadlines today!! And when we see that landlord, we look that guy right in the eye. 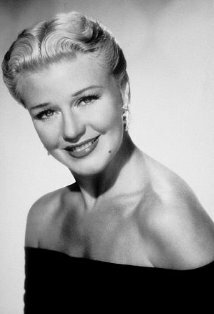 Who could possibly have been depressed in the Great Depression when they saw and heard Miss Ginger Rogers (nee Virginia Katherine McMath of Independence, Missouri) warm their heart and tickle their imagination? Bringing up baby daughters: The Sarah Lawrence Difference. A tranquil, yet very pricey, setting for baby, in scenic, bucolic, Yonkers. Comes now to you, well past press time, a hearty hail to all addressed, in which, a caution is sent to the usual suspects, about the insatiable appetite for American prestige in all things imitative of the, now moribund, English nobility. Today’s epistle follows on now to the group in which we touch on, the singular, unrelenting, hilarious American fascination, conceit and vanity concerning all things thought by the Americans to represent upper crust English life, manners, styles, and, now, The Sarah Lawrence Difference. We ask, for instance–What price Ivy prestige? Top 10 recipients, in total compensation, among private-college leaders in 2010. © 2012 The Associated Press. All Rights Reserved. The Ivy League is a grouping of eight schools, named for the ivy plants that adorn their older buildings. The term Ivy League originated in the 1940s as a label for athletic competition among the schools, but today it is most commonly associated with the institutions’ academic excellence. An “Ivy League education” is quite prestigious due to the high academic standards of these schools. Brown University, Providence, Rhode Island, founded 1764. Brown’s total enrollment is 7,595 students, nine percent of whom are international. Find out how to apply. Columbia University, New York City, New York, founded 1754. Columbia’s total enrollment is 23,650 students, which includes 4,083 international students from 150 countries. Visit Columbia’s International Community. Cornell University, Ithaca, New York, founded 1865. Cornell currently enrolls 19,620 students; the international student body includes 3,120 students from 123 countries (16 percent of the student body). Check out the International Students & Scholars Office. Dartmouth College, Hanover, New Hampshire, founded 1769. Smaller than the other Ivy League schools, Dartmouth has a total enrollment (undergraduate and graduate level) of 5,664, including 219 international undergraduate students. See the International Office for more information. Harvard University, Cambridge, Massachusetts. This university, founded in 1636, is the oldest institution of higher learning in the United States. Harvard’s student body of more than 18,000 is dominated by graduate and professional students (12,250); undergraduate students typically number around 6,500. Approximately 3,500 international students attend Harvard in undergraduate and graduate programs. Visit Harvard’s admissions office. Princeton University, Princeton, New Jersey, founded 1746. Total enrollment is 4,676, including 390 international students (eight percent). See A Guide for International Students. University of Pennsylvania, Philadelphia, Pennsylvania. Founded in 1749 as the Academy of Philadelphia, this university was the fifth college founded in the United States and the first to train students for business and social endeavors. The first four colleges—including fellow Ivy League members Harvard, Princeton, and Yale—all focused on training members of the clergy in their early years. Today the university enrolls 23,305 students, including 807 international students from 89 countries. SeeInternational Admissions for more information. Yale University, New Haven, Connecticut, founded 1701. Yale’s total enrollment is 11,359; 1,800 international students, representing 108 countries, attend this school.Office of International Students and Scholars. Early American schools typically enrolled men only. Beginning in the 1800s, widespread attempts were made to bring educational opportunities to women that would equal those already offered for men. Formally organized in 1927, the Seven Sisters includes seven of these early schools and was named as a reference to the Pleiades, seven sisters in Greek mythology. Today only four of the original seven remain independent all-female schools. Barnard College, New York, New York. Barnard, founded in 1889, is now affiliated with Columbia University. The undergraduate student body of 2,297 includes students from 40 countries. Access International Student Advising and Columbia’s International Students and Scholars Office. Bryn Mawr College, Bryn Mawr, Pennsylvania, founded 1885. Bryn Mawr has 1,781 students, ten percent of whom are international students from 60 countries. Astarting point for international students. Mount Holyoke College, South Hadley, Massachusetts, founded 1837. Mount Holyoke is the nation’s oldest institute of higher learning for women. Today the school has 2,100 students, 17 percent of whom represent 33 nations outside the United States. Learn about the international community at Mount Holyoke. Radcliffe College, Cambridge, Massachusetts, founded 1879. Radcliffe merged with Harvard University in 1999 and is now officially known as the Radcliffe Institute for Advanced Study. Smith College, Northampton, Massachusetts, founded 1871. Smith enrolls 2,750 students, including 200 international students from 58 countries. Find out aboutinternational admissions. Vassar College, Poughkeepsie, New York, founded 1861. Vassar has been coeducational since 1969 and now has 2,400 male and female students; international students from 45 countries make up eight percent of the student body. 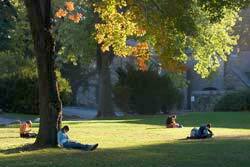 See Vassar’s International FAQ. Wellesley College, Wellesley, Massachusetts, founded 1870. Wellesley enrolls 2,400 students, nine percent of whom come from outside the United States. See theSlater International Center. Dear American Mommies and Daddies—how much do you want to pay for a name when unsavory people try to re-shuffle the deck and put aces and faces into the deck that don’t belong there? The term Ivy League is kicked around today so loosely as to have lost all valid meaning. People associate the Ivy League today with schools that have the best curriculum, the highest price, and yes, now and then I hear, the best basketball squads. As such, in American mythology, who is and who is not in the Ivy League is subject to capricious change without notice. Attend closely to this caprice that can, and will, cost you heavy nickel if you fall for the new head fake, for the latest canard. Only 2 Ivy Leaguers out of 10 make the highest paid president’s list, a list which does, or at least ought to, represent the value and price point of the schools these presidents represent. Only 2 Ivy League schools make this list, not to mention that nobody has ever heard of most of these other schools. This makes you think kids, or at least it should: What price prestige? This may even make you ask, just what is prestige? And, all that left aside, despite what the AP and The Chronicle of Higher Education might be thinking, the Ivy League doesn’t ever change, you are either in it or, as they say in New Haven, you are not in it. To get a better bead on this, as a base point, think about the order of ascension to the English throne, or, to a far, far less interesting and important degree, the line of ascendancy to the American Presidency–you are either in those lines of ascension or you are not in them. Period. Do you know what a college President does? He takes people, principally rich widows, out to luncheon to shake them down for donations. And, that’s ALL he does. He’s a hustler, a salesman, just like the rest of us, trying to get his hand into other people’s pockets all day long–that’s it. There’s nothing the matter with being a hustling salesman, in fact, that’s America, we all have to eat, but let’s not mislead ourselves that things are what they are not. Most particularly so when the misleading can be so pricey. Clearly, such misleading can be very costly. Avoid costly traps. Young Daniel, for example, think to prep to send the baby to UVa–one of the better schools in America and she’s a resident and it won’t blow up your bank. Young Jenny and Vanessa, likewise have a think about UMD, for same reasons. And, young Doctor Steve?? Steve…. The high and mighty schools are becoming a ridiculously costly trap, particularly since some of the most expensive are unknown to anybody, this is a costly trap that we all ought to endeavor not to fall in to–send the kids to your home State Schools is the message I get here. When baby gets out of college, her having gone to college will be of some, marginal, significance in getting her first job–after that, nobody knows and nobody cares where anybody went to college. All anybody in real life in America cares about is your capacity to deliver high quality product in a creative and contextual way. The Americans make a habit of not understanding why they do things and college presidents and other salesmen take merciless advantage of this, by now hereditary, lack of American self-assessment and lucidity. The fact is, at core, the Americans are ambivalent about democracy and always have been. They have yet today not cut the umbilical cord with the Mother Country, England, despite their vehement protestations to the contrary. The Americans have inbred social class prejudices and aspirations. American colleges have made relentless profit from these delusional aspirations. Colleges are not the only places that feed on this vanity of the Americans. Polo, Ralph Lauren, a very successful clothes store was built, consciously, as mimicry of dressing Americans in the manner Americans think the English nobility dresses. Polo makes a fine quality product, and made one short little man richer than he ever dreamt possible. But Polo in fact, sells its customers a pipe dream, a myth, a fiction, of what English upper class life is and profits remarkably in feeding on how Americans, in their frenzy to look and live that illusory life, are willing to pay eye-popping sums to join a club that both does not exist and, if it did, no amount of money would buy membership in it. Polo is simply selling a familially related, yet in first appearance somewhat different, sort of pipe dream from the earlier listed colleges, as is yet another pipe dream of a type similar in degree and kind, now ruthlessly and aggressively marketed most compellingly, and today seen in, The Sarah Lawrence Difference. Late today, well past press time, further word likewise reaches my ears that next year The Sarah Lawrence Difference, provided American baby daughters by The Sarah Lawrence College, will be the priciest in United States. The Sarah Lawrence Difference, I am sure is most compelling—to find out just how so, schedule a luncheon with the, likely very well compensated president there, and I am sure he will tell you just how compelling, but guys, come on now, really, compelling or no, would you really pay top dollar price to send baby daughter to a school in Yonkers? Yes, I said, Yonkers. Quite a way off Park Avenue location aside and not to be caddish and intending no slight to Sarah as we are sure she tries her best, she is simply one of those girls colleges that is not in the Ivy League.